For piano teacher Heather Hobbs, moving home involves an additional stress – the transporting of her two pianos, which are not only the tools of her trade but also her precious art objects. But so far, so good. When Heather last moved, she engaged a removalist who not only had the necessary equipment but was also properly covered by insurance. Jessica Merlo of Melbourne-based Piano Moves says that by using a non-specialist to move their piano home owners risk delays on moving day. “Every day we get people ringing us because they’ve got a settlement deadline of 2:00 p.m. and they’re stuck with their piano because the furniture removalists are unable to move it. The removalist has promised to move it over the phone, without looking at it. Then they turn up and the instrument is bigger or heavier than they realised, there are steps, or it as to go up or down stairs, and they say they can’t move it. Professional piano movers have purpose built equipment, piano trolleys, hydraulic tailgates, ramps, and stair-climbing equipment that other removalist companies don’t have. Also check your movers are covered by comprehensive insurance for pianos. 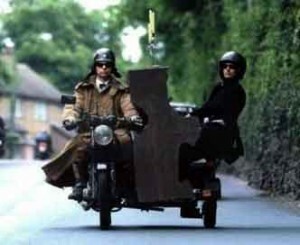 The website of Sydney-based F. M. Olde Piano Removals features a series of photos of a $125,000 Bosendorfer falling off the back of a truck – every pianist’s nightmare. F. M. Olde spokesman, Lorne Jones, says you don’t just get anyone to move a piano. Lorne says there is also an additional “per-step” charge where pianos must be moved up stairs. Pianos are temperamental objects and when you move one you incur the additional expense of having it retuned to maintain the sound quality. In a new environment, the piano may be affected by differences in humidity and temperature. Opinion appears to be divided on how long to leave the piano to settle into its new home before having it retuned. Consult your trusted piano tuner for advice on piano movers and when to tune after the move. Sydney, Blue Mountains, South Coast, Central Coast and ACT. Victoria, Brisbane, Gold Coast and Sunshine Coast.